Euro and Gold. We calculated daily returns in terms of % for each type of instrument for the period range from 02.02.2012 to 17.12.2018.
unit root and causality tests. Stationarity of the series and causality relations between them are determined with the help of charts. them to the charts. In order to decide about when test statistics is higher than critical values null hypothesis is rejected. potential to prevent of tax evasion, the terminate the informal economy and eliminate intermediation costs. Ağazadebin, S. (2014). Doğrusal Olmayan Birim Kök Testleriyle Rusya için Satın Alma Gücü Paritesi Hipotezinin İncelenmesi. The Journal of Anadolu University Social Sciences, 14(4), 15-24. Ateş, A., B. (2016). 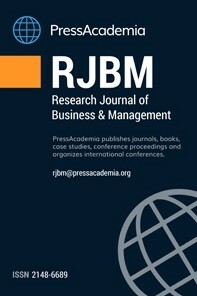 Kripto Para Birimleri, Bitcoin ve Muhasebesi, The Journal of Çankırı University Social Sciences Institution, 7(1), p.349-366. Atik M., Köse Y., Yılmaz B., Sağlam F., (2015). Kripto Para: Bitcoin ve Döviz Kurları Üzerine Etkileri, The Journal of Bartın University School of Economics and Administrative Science, 6 (11), 247-261. Ay, A. ve Mangır, F. (2007). Uluslararası Finansal Entegrasyon Bağlamında Sermayenin Vergilendirilmesi: Tobin Vergisi. Maliye Dergisi, 153, 123-141. Balcilar, M., Chang,T., Gupta,R. and Li, X. (2016). The Causal Relationship Between Economic Policy Uncertainty and Stock Returns In China and India: Evidence From A Bootstrap Rolling-Window Approach. Emerging Markets Finance & Trade, 52, 674–689. Borsa İstanbul (2018). Kıymetli Madenler ve Kıymetli Taşlar Piyasası. http://www.borsaistanbul.com/urunler-ve-piyasalar/piyasalar/kiymetli-madenler-ve-kiymetli-taslar-piyasasi, (Accessed in 23.12.2018). Destek, M. A. (2016). Satın Alma Gücü Paritesi Hipotezi Geçerliliğinin Fourier Birim Kök Testleri ile İncelenmesi: OECD Ülkeleri Örneği. Gaziantep University Journal of Social Sciences, 15(1), 73-87. Hacker, R. S. and Hatemi-J, A. (2006).Tests for Causality between Integrated Variables Using Asymptotic and Bootstrap Distributions: Theory and Application. Applied Economics, 38, 1489-1500. Hatemi-J, A. (2012). Asymmetric Causality Tests with an Application. Empirical Economics, 43(1), 447-456. Hepkorucu A., Genç, S., (2017). Finansal Varlık Olarak Bitcoin’in İncelenmesi ve Birim Kök Yapısı Üzerine Bir Uygulama, Osmaniye Korkut Ata Üniversitesi İktisadi ve İdari Bilimler Fakültesi Dergisi, 1(2), 47-58. Kapetanios, G., Shin, Y. and Snell, A. (2003). Testing for a Unit Root in the Nonlinear STAR Framewor. Journal of Economics, 112(2), 359-379. Li, X., Balcılar, M., Gupta, M. and Chang, T. (2016). The Causal Relationship Between Economic Policy Uncertainty and Stock Returns in China and India: Evidence from A Bootstrap Rolling-Window Approach. Emerging Markets Finance and Trade, 52(3), 674–689. Tang, C. and Jang, S. (2009). The Tourism-Economy Causality in the Uni ted States: A Sub-Industry Level Examination. Tourism Management, 30, 553–8. Yılancı, V. (2009). Fisher Hipotezinin Türkiye İçin Sınanması: Doğrusal Olmayan Eşbütünleşme Analizi. Atatürk Üniversitesi İktisadi ve İdari Bilimler Dergisi, 23(4), 205-213. Yılancı, V. Bozoklu, S. (2014). Price and Trade Volume Relationship in Turkish Stock Market: A Time-Varying Asymmetric Causality Analysis. Ege Academic Review, 14(2), 211-220.